Get in the Zone that captures the big gold! The newest addition to the Gold Cube family adds the ability to easily capture the larger gold your Trommel or Gold Banker may miss. 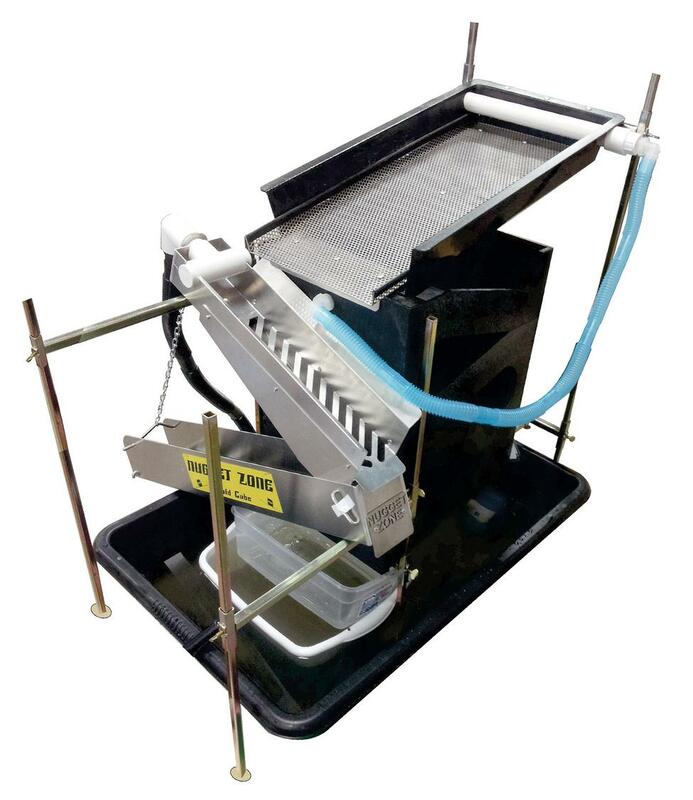 The Gold Cube was designed to effectively capture fine gold and no other product on the market does it better, however, when used as a highbanker or just running concentrates, the Nugget Zone can easily get larger gold the punch plate holes may miss. The Nugget Zone easily attaches to its own stand attachment and uses a separate 1100 pump. The perfect companion to the Gold Banker and Trommel you may already be using with your Gold Cube. Gold Cube sold seperately, it does NOT come with this Nugget Zone accessory.